Recently, Toys R Us announced it will be closing almost 800 retail stores across the country, a move that came months after the company filed for bankruptcy in September. In the wake of the announcement, Americans all over have expressed how upset they are about losing what many view as a major childhood rite of passage: perusing the aisles at your local Toys R Us in search of the perfect toy. In the hundreds of published reports that have covered the retailer’s decision, consumers are quoted as being sad the chain is closing its doors. Many of them express the same sentiment, stating they’re afraid that the children of today and the future are not going to have the same “magical” experiences if Toys R Us isn’t around. But what if we told you the magic isn’t gone? We promise it’s still here. In fact, it might even be down the street, or around the corner, or even a quick car ride away. You might have worked there as a teenager, or stopped in on a Wednesday afternoon after middle school got out, or even bought a last-minute birthday gift there before Carrie’s 8th birthday party that your mom totally forgot was that day. Figure it out yet? It’s your local neighborhood specialty toy store. Castle Toys and Games in Beaver, PA. Check out all those Blue Orange games! Maybe it’s next to the ice cream parlor, or across the street from the local library, or two doors down from your favorite donut shop- but its location doesn’t matter. What matters is that if you’re looking for that magical experience, this is the place to go. 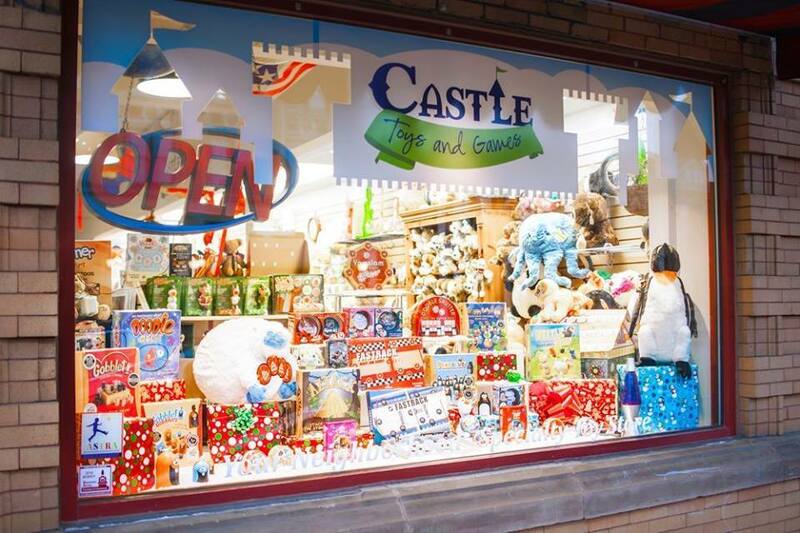 It also doesn’t matter if your child or niece or nephew needs a new gift or not, because these small local toy stores are about way more than just a purchase, they are about an experience. 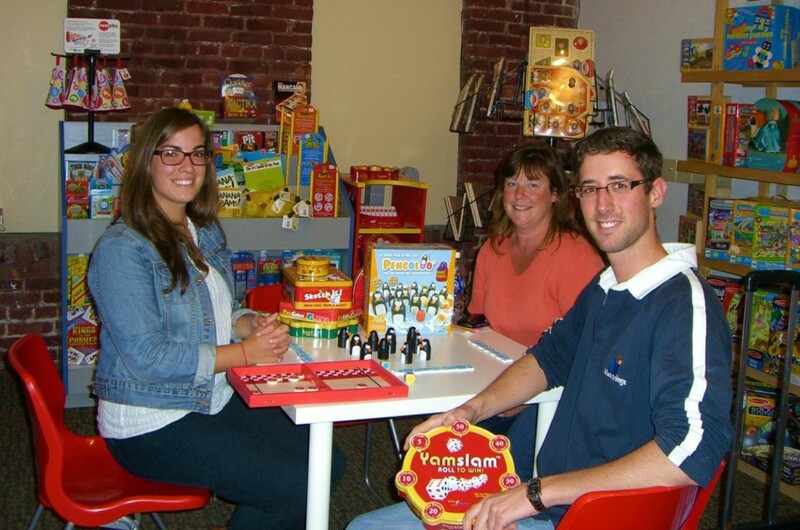 They feature carefully selected toys and games, and have well-trained staff who are often “experts” in most of the products in stock. Quite often you’ll find that a short trip to the store will turn into a one-on-one experience that is full of suggestions and demonstrations, all in the name of finding you the perfect toy or game to gift or take home. These stores are the kind of places that hold weekly game nights, organize arts and craft sessions, and host birthday parties, building community and giving people a place to gather and bond. Some even sell books and hold reading sessions, giving eager readers a place to pick out their next favorite. You might be surprised at the activities and initiatives these little stores plan and participate in, so stop in and stay awhile to learn about all the cool stuff they do and offer. 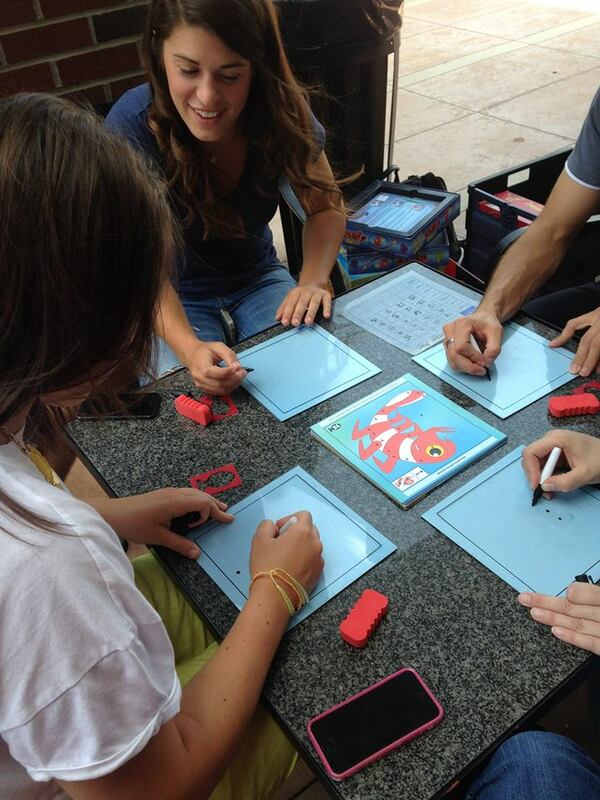 Staff and customers at Dilly Dally Rogers in Arkansas playing Doodle Quest at an event. Take a child there, and we promise their eyes will light up. Small stores are big on demos and “try before you buy” is a major part of their ethos. During a visit, dice can be rolled, blocks can be built, and plushies can be touched- all in the name of fun. Five minutes in a small toy store and it’s extremely likely that your Toys R Us nostalgia will be pushed to the side, making way for new memories and newfound nostalgia. We told you the magic isn’t gone! Small toy stores are the original sources of that magic, and visiting them means you are participating in a tradition that spans decades and decades of shopping at specialty mom ‘n pop shops- what’s more magical than that?! We promise that feeling of walking down the aisles, looking at toys, and then picking a special stand-out is still there, because it’s always been there and it isn’t going away anytime soon. Blue Orange sales team member Xavier visiting Read Me a Story in Anacortes, WA. 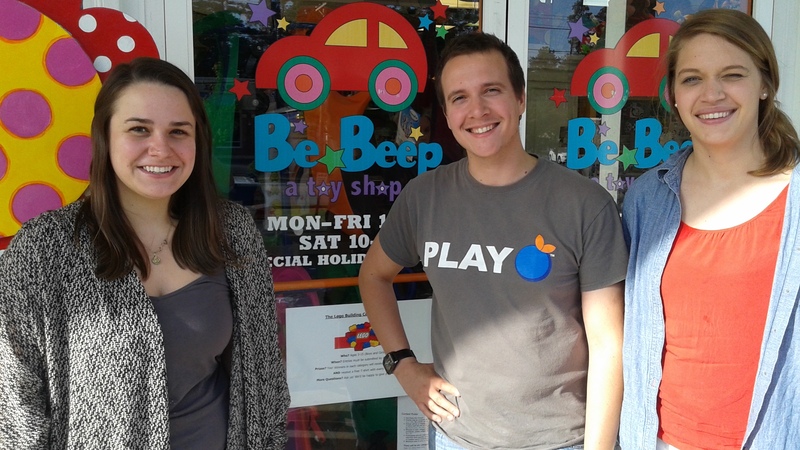 Blue Orange sales team member Francois at Be Beep A Toy Shop in Columbia, SC. 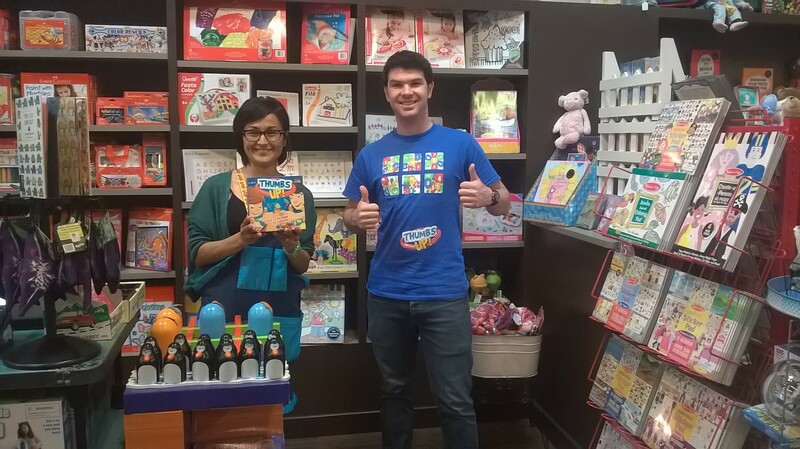 Blue Orange sales team member Bart at Tiddlywinks in Orange, CA. 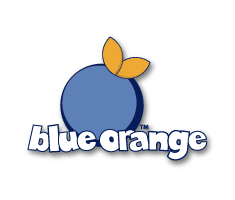 We at Blue Orange are major supporters of all our specialty retailers, and we hope you are too! 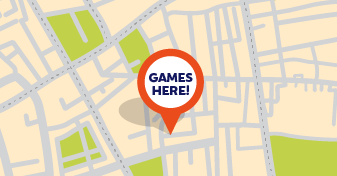 If you’re looking for a toy and game store in your area that sells Blue Orange Games, make sure to check out our handy dandy store locator– it features shops full of quality products that are staffed with people who are awaiting the chance to give you an amazing experience. We won’t be mad if you stop in and don’t buy one of our games- just make sure to say hi from Blue Orange Games!